What do Arles Struvie, Aunt Pearl, Petey Fisk, Phineas Blye and Rev. Spikes have in common? In this hilarious send-up of small town morals, they are all among the upstanding citizens of Tuna, Texas' third smallest town. 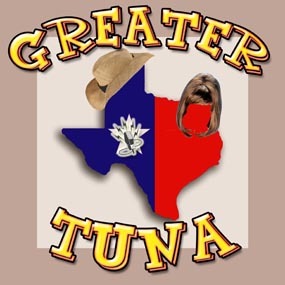 The long-running Off Broadway hit features two actors creating the entire population of Tuna in a tour de “farce” of quick change artistry, faster than a jack rabbit runs from a coyote. It’s a barrell of laughs, ya'll.